Take Home Favor Boxes... Customization Available. 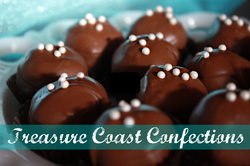 Every treat, confection and cupcake is available as a favor for weddings, showers, parties and Corporate Events. Your custom quote will begin with the type of confection preferred for the favor, then we will discuss the packaging options as well as customization options. crushed candies, colored sugar sprinkles, edible pearls, etc. $2.00 Gift Box - 2 part "crystal" box with ribbon, bow and gift card. Cherry ...and more flavors to come! Butter Caramels coated in your choice of Chocolate: White, Milk and Dark. 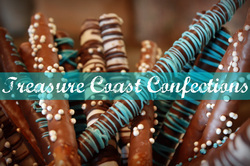 Topped with sea salt, mini chips, colored sprinkles, sugars and salts to match you special event. 50 cents a piece, minimum order 1 dozen. 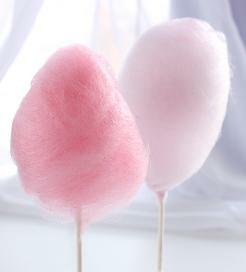 colored sugars and other fun toppings. 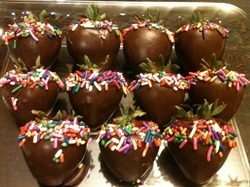 $1.50 each, minimum order of 1 dozen. 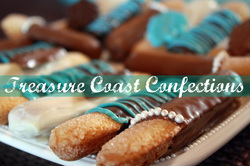 Crunchy Lady Fingers with Sugared Top covered in your chocolate of choice. kitchen. However, on any truffle you may ultimately choose the chocolate you prefer best. Large Rods are sold individually, with a minimum of 12 pieces per chocolate flavor (milk, dark, white). Each piece is $1.50 and come boxed together. If you would like them wrapped individually for favors, add $0.50 which includes cello bag, ribbon and custom tag. Rods can be covered individually or in pairs as seen in the photo. Mini Rods are sold in pairs, with a minimum of 12 pairs per with 2 chocolate flavor options. Each pair is $1.50 and come boxed loose together. If you would like them wrapped individually for favors, add $0.50 which includes cello bag, ribbon and custom tag. Gooey marshmallow, covered in your choice of chocolate and rolled in a variety of sugars, cookie crumbs, or sprinkles. Toppings available are: Colored Sugar Coatings (Think of PEEPS), Jimmies, Red Hots, Crushed Oreos, Crushed Chocolate Chip Cookies, Graham Crackers, etc. and just about any other coating you can think of! 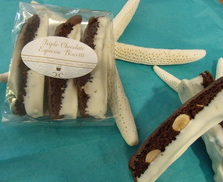 Chocolate Barks - White/Milk/Dark Options Available. TCC Exclusive! 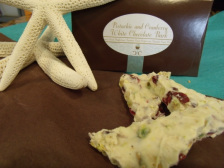 Salt and Pepper Roasted Pistachios, Dried Cranberries, White Chocolate and a Sprinkling of Sea Salt.... the perfect balance of salty and sweet, you'll be coming back for more. Available in White Chocolate, Milk Chocolate, Dark Chocolate or blends. Add in: Cranberries, Raisins, Almonds, Pistachios, Walnuts, Peanuts, Peanut Butter, Pretzels, Peppermint, Dried Apricots, Dried Apples, Caramel, Spiced Ginger, and many more options. Don't see it? Ask! $11 per pound for most combinations. Are you one of those people who could skip the cake and go right for the bowl of frosting? 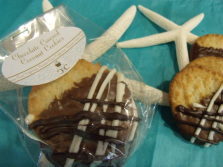 Frosted cookies may be a better option for your special occasion (or just for yourself). Cookies of your choosing can be turned into flowers, clowns, faces and more. Custom quote provided based on your specifications! Customer Appreciation Assortment Boxes and Towers. Whether you want a single assortment box or a tower of goodies a custom package can be arranged to meet your specific needs. Your custom quote will begin with the purpose of your gift tower, and then move on to the details such as: number of people to feed, confections to be included, delivery options, and other details.